The Recorder is a whistle-like instrument, which peaked during the Baroque era in medieval times. Throughout its prime, The Recorder was associated with miraculous events, funerals, pastoral, and romantic settings. Our selection of recorder methods allows musicians of all ages to master the clear, sweet, harmonic sound that resonates from the Recorder. 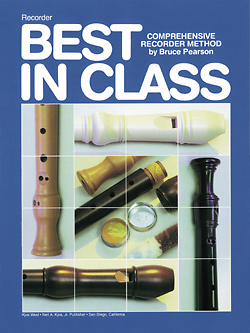 Below you will find a diverse collection of recorder methods for all skill levels. If you are a beginner and would like to teach yourself, there are Books and CDs to assist. There are also lesson books, duets, and recorder studies from different eras, including Baroque. Today, although the recorder is performed by many professionals, it has become a popular children’s instrument, so we have a variety of lesson books and recorder methods for kids as well. Play with a Real Band!